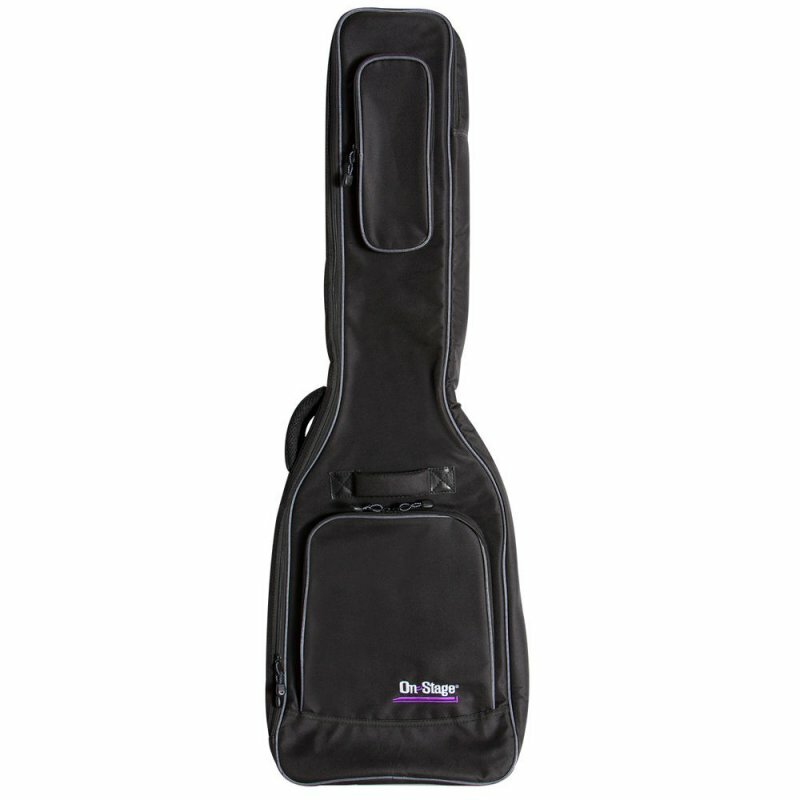 Our GB-4770 line of Deluxe Guitar Gig Bags features lightweight custom-shaped models to protect and transport your favorite instruments. Each model combines the protection of a half inch foam-lined interior with the portability of a canvas bag. Features include 2 exterior accessories pockets with leather accent strips, heavy duty two-pull zippers, a padded side carry handle, a padded top carry handle, adjustable backpack straps, an ID tag, and two bag hanger loops. Gray piping and an embroidered emblem add to the upgraded styling of these gig bags.